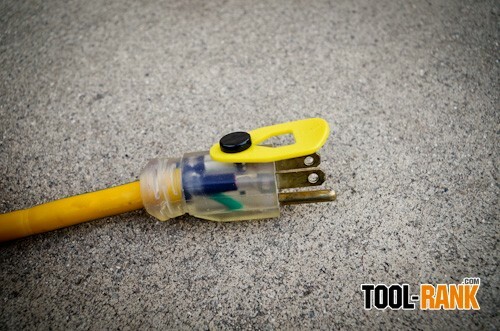 To install the CordLatch you use the provided alignment tool on the male end of an electrical cord, and use it to drill a 1/8" hole 1" deep into the area between both prongs. With this hole you will use a plastic pin and sometimes a washer to attach the actual CordLatch to your power cord. 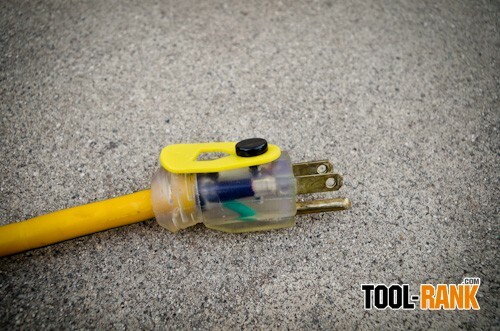 Even though it feels wrong to drill into this area of a cord, all of the CordLatch components are made out of non-conductive plastic, so even if you were to come a little too close to one of the prongs, you would still be safe. Once the CordLatch is installed, every time you need to plug into another cord the CordLatch grabs onto the polarization lug that is found on the female end of electrical cords and thus prevents the cords from coming unplugged. To disconnect, simply lift up a little on the CordLatch. If you want to plug into a wall outlet, the CordLatch can be swiveled out of the way. CordLatch was kind enough to send over a sample package so I could put their product to the test for myself and I was happy to find that they worked just as advertised. Installation was simple with the provided alignment tool and drill bit, and the instructions were easy to follow. They say the CordLatch works on 90% of cords, but unfortunately DeWalt cords are not compatible (at least not without modification). 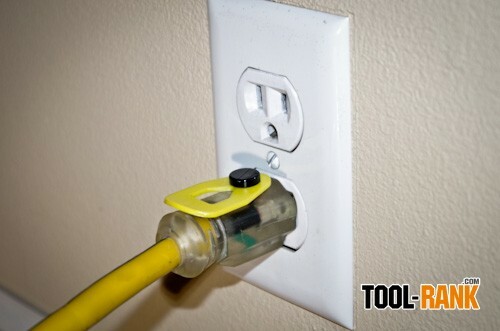 I imagine you might have problems using the CordLatch on any over-sized plug, including replacement plugs. 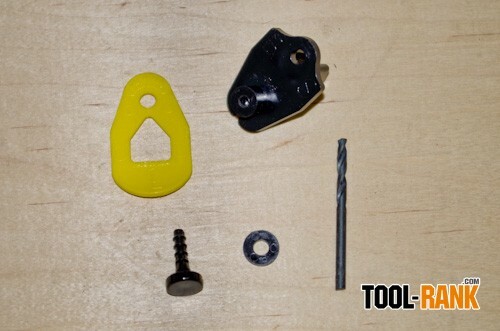 The CordLatch seems to hold onto unmodified female plus and splitters pretty well, but if you do find that it is not holding on well enough for your needs, you might have to file or sand off a bit of the female lug. This step is not always necessary, but is sometimes needed for an even better fit. If you want to try out the CordLatch for yourself, you can order one for $0.01 plus s&h during their promotion, or you can get a 4-pack for $16.95 shipping included. 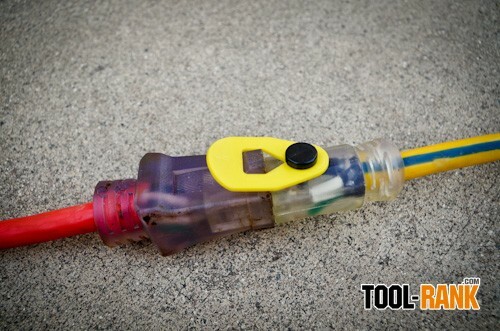 They also offer a Contractor Box with components to outfit 72 cords for $280. I kind of wish they offered an 8-pack or 12-pack so you could have a CordLatch installation party with your co-workers. The CordLatch solves a common workplace problem with a simple low cost solution. 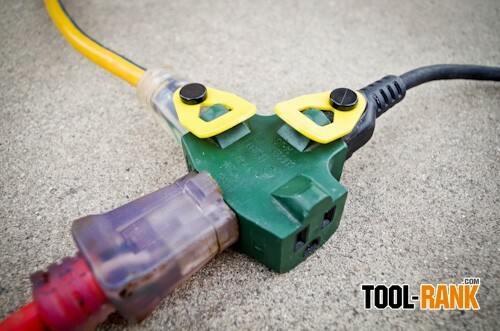 Install it on your cords and it will save you from unplugging those power tool cords that just aren't long enough.